Ships today if you order in the next 5 hours 27 minutes. 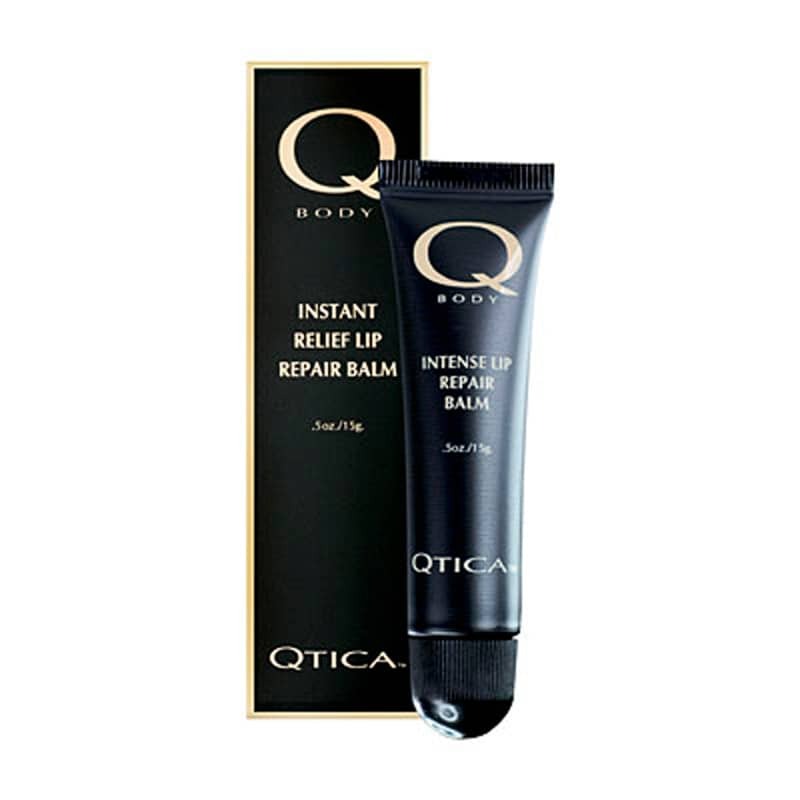 Qtica Intense Lip Repair Balm is a natural and nourishing lip balm for severely dry, cracked and irritated lips. It works beautifully to maintain healthy lips too. The one and only lip repair balm that Lucky Magazine called "...only lip treatment worth buying.."
Beeswax help to seal over cracks. This formula is used by spas, salons, dermatologists, athletes and celebrities. Intense Lip Repair Balm provides nourishing maintenance for healthy lips or serious repair for lips that go beyond chapped. This amazing lip balm defends against the elements and helps relieve and seal the most dry, irritated lips overnight. See an instant improvement in lip skin and trap moisture before applying lipstick for longer wearing color. Lanolin, Water/Aqua, Caprylic/Capric Triglyceride, Beeswax/Cera Alba, Glycerin, Sorbitan Sequioleate, Menthol, Panthenol, Tocopheryl, Aloe Barbadensis Leaf Juice, Camphor, Laureth-4, Gluconolactone, Sodium Benzoate, Calcium Gluconate. I'm so glad to have found Intense Lip Repair Balm. It's truly magical. Excellent service. Will continue to order from this provider. The Qtica Intense Lip Repair Balm is a good product. The consistency of it reminds me a bit of Carmex. It definitely does the job but goes on thick. So far so good. This was my first time ordering with you and it was a wonderful experience. The price was amazing, the processing easy and the shipping incredibly fast...would DEFINITELY buy again! Intense Lip Repair Balm is the only balm I have found that lasts and feels moisturizing sufficiently to support my lips. Especially effective before bed as it is still there in the morning! Put it on lips before bed and your lips are like new in the morning - the ONLY lip balm I use! I have been using Qtica Intense Lip Repair Balm for about twenty years. I live in the desert, where moisture is a necessity. I use this every evening before bed and it softens the day's drying effects. Can't live without it!